Below you can find more information about some of the improvements we have done in the past few days. Some of it is closely related to the new navigation menus on this website. We added clickable tables of content to some articles and (sub) pages. This means that you can use the links of the table of content to jump to that section of the text. There you can find help for different topics. Here you can find technical help for different topics, e.g. for this website, for the videos or for the audio files etc. Newly added: Instructions about the navigation (the menus) of this website and about the multilingual website. 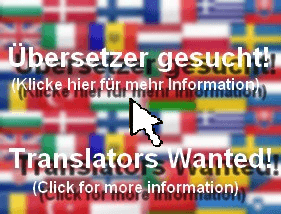 New or updated subpages (English and German): Link List For People In Need (Counselling, Emergency Situations etc. )This includes websites that offer assistance in difficult situations. Are you in an emergency situation? Please ask God if some of the following websites can help you. The link to the other linklist with further websites has been linked in the footer section. You can find it at the bottom of this website. This entry was posted in News-English on March 18, 2019 by Administrator Message-For-You.net.